My first custom chapter, basically a section of Chapter 2 containing three levels. Primarily a test to see how chapters work and how to make one. The levels here are pretty easy, I just made them for the chapter. I initially started this so that I could make a tutorial on how to make chapters (which I'll still make), but it turned out to be more complicated than I thought. -I don't know exactly why you put that one image in the Drool folder: override/res/levels/Drool/main_01.png. In any case, I don't like it. You probably should stick the image someplace else just for clarity's sake, like override/res/images/levelimages. I'm being really picky here, but if this is going to be for tutorial purposes, I'd rather have everything exactly where it's supposed to be. I do have to say that I'm really impressed that that's the only thing I could find 'wrong.' Good show! -As it's a fairly simple addin, and intended for tutorial purposes, you may want to stick it in the "sample" category rather than the "other" category. Just a thought. If you think it fits better here, that's fine. I can see what you mean with main_01.png. The thing is, while making the level "Hang", I found this image along with the original in "Drool", the facing right version. I just used it because it was there. But when I was creating the goomod I realized that it wasn't in the original WoG! I have no idea how it got there, although there's a good chance that TM13's VOTWoG is responsible for that. But anyway I decided to leave it there. But, now that you say so, I think I will put it in either "res/images/levelimages" or "res/levels/Hang". That makes more sense. About the "Sample" category... I put this in "Other" since this chapter was rather so that I could get used to Chapters so that I could later make a tutorial with another Chapter. But since you've mentioned it now, I think that you're right. Once I've re-placed main_01.png, I'll put this in the "Sample" category. If I make a tutorial with this Chapter or a different one, I'll decide later. And just so you know, these changes won't happen straight away, since I can't do it right now. Might take a day. Well, thanks for your helpful feedback and comments! I'm glad that it's this good! EDIT: I've updated it now, maybe you'd like to delete these two comments (as they're not truly comments). Or whatever you think is best. Ok, I'll talk with Taco about it then... don't want strange images in strange locations. i made a chapter but how to make the movie? 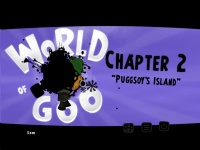 and how to make the chapter screenshot and put the levels in it? Please ask this on the forum, you'll get much more help there. Your profile doesn't show any addins, since they're not in the moderation queue and not published. Please read our comments on the addins, then request publication again. I can't beat the last level. Any hints? Nevermind. I managed to do it.